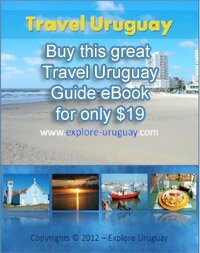 From Uruguay's early start as a nation, sports and sporting events have always been an important part of Uruguay culture. Uruguay has many highly competitive players who have won many prestigious sports awards. Some of these championships have included FIFA World Cup trophies, French Open titles and a number of Olympic medals. The most important sport for the people of Uruguay continues to be the fast paced, aggressive game of soccer. For this nation the love affair began even before the countries top players won 2 Olympic gold medals in 1924 and in 1928. Even in these early years the country had fast established that it would be a force to be reckoned with when it came to Uruguay soccer. In both 1930 and 1950, the coveted World Cup was claimed by Uruguay soccer players. To date, Uruguay has made 10 appearances at the World Cup tournaments. The Estadio Centenario, in Montevideo Uruguay, was built for the World Cup games and today it remains the countries primary soccer stadium. The national pastime of soccer has managed to unite the entire country as they throw their support behind Their Players and Their Team-Team Uruguay. With sky blue team jerseys and sky-high expectations, Uruguay head butted through their regular season, which typically runs from August through early December. Then they fought their way through qualifications for the 2010 World Cup. Even though the schedule included matches against stronger and more powerful teams including Colombia, Argentina, Chile and Brazil, the Uruguay soccer stars claimed victory by defeating Costa Rica. Now these ambitious athletes must pack up their soccer skills and head to South Africa in June for the finals of World Cup play. While Argentina has historically been their most formidable opponent Uruguay will have to stop other powerful, legendary soccer teams fielded by Mexico, France, and South Africa if they are to see their ambition realized. Key team players for Uruguay include a man named Fernando Muslera who is known for his incredible skills as the team's goalkeeper. Agile, and a incredible shot stopper, Muslera has shown very impressive maneuverability and a keen desire to help his team win as they advance in World Cup play. Playing midfield, Luis Alberta Suarez showed great promise as a star player during qualifications. His quick actions and keen eye on the goal make him a member to keep an eye on Another dynamo to be reckoned with, team captain Diego Lugano is an extremely tough, experienced player and at the present time he is seemingly unstoppable on the field. As far as points are concerned most fans would agree that Diego Forlan's scoring attacks are unrelenting and hard driven. Consistently among the top scorers every season, Forlan continues to exhibit an unswerving ability to get the points on the scoreboard. Older than most players at 29, but not far behind Forlan in his ability to find the net is Carlos Bueno. In fact, Bueno is considered by many soccer enthusiasts to be the icing on the cake for the Uruguay team, and is the perfect complement to Diego Forlan. Will Uruguay become the 2010 Soccer Dream Team and reclaim the World Cup? Insiders are offering differing opinions but if the players maintain their focus and drive then this Uruguay team can perform miracles and there will definitely be some upsets in the making on the South African field this summer. Bets are on that Uruguay will end the World Cup play this year with more wins than South Africa, but the players may still fall shy of defeating the usual powerhouse teams such as the Mexican squad and the team from France. If team Uruguay can sustain a tight discipline, their loyal fans can likely expect some fantastic soccer, with results that could fall shy of the World Cup by just a few precious goals.